Properties in Brandenburg average 4.6 out of 5 stars. 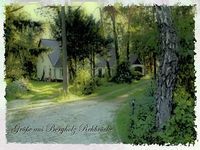 Property 35: Holiday house with a beautiful garden on the edge of the "Lower Oder Valley"
Property 41: 6 cottages ideal for family gatherings near the Spreewald. Property 42: Holiday home in the lake district - children welcome! Pier 5 in Bad Saarow at Scharmützelsee with own boat bridge and water access. 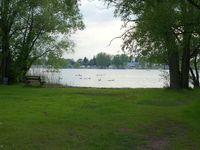 Property 44: Pier 5 in Bad Saarow at Scharmützelsee with own boat bridge and water access. We had a great stay at this property. It is an apartment attached to the house with small rooms and low ceilings. But there was room for all 5 of us and it was down a lane in a secluded spot with lovely yards. And it was very close to a grocery store and the trains with easy access to Berlin. We would definitely stay here again.